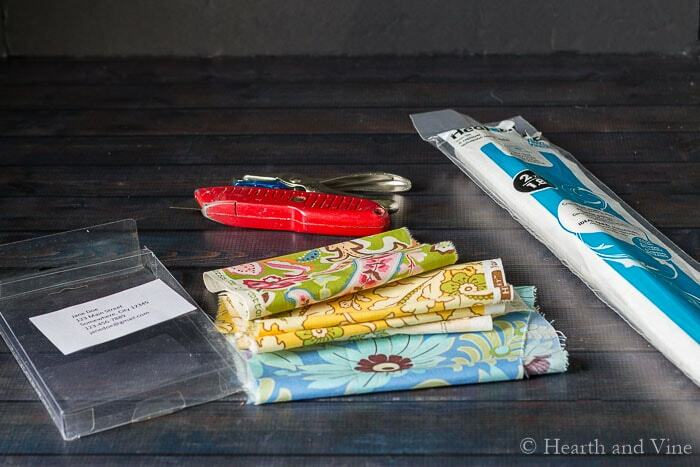 Learn how to make durable DIY luggage tags, using some of your favorite fabric patterns, and a bit of iron-on vinyl. I really like the look and feel of oilcloth. I has a fun retro vibe, and I thought it would be great for luggage tags, because it’s so durable and the patterns are so bright and fun. 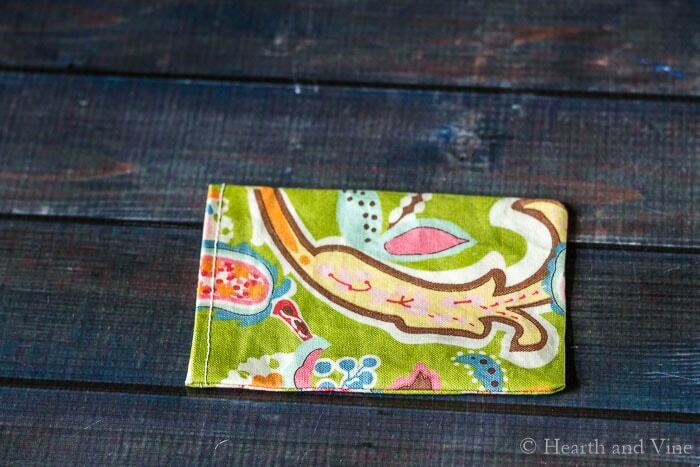 This bright pattern would make finding your bag on the luggage belt a piece of cake. However, when I went to actually buy the oilcloth I just couldn’t find the perfect fabric design. Then I stumbled on this vinyl iron-on product , made for fabric and thought it would be perfect. 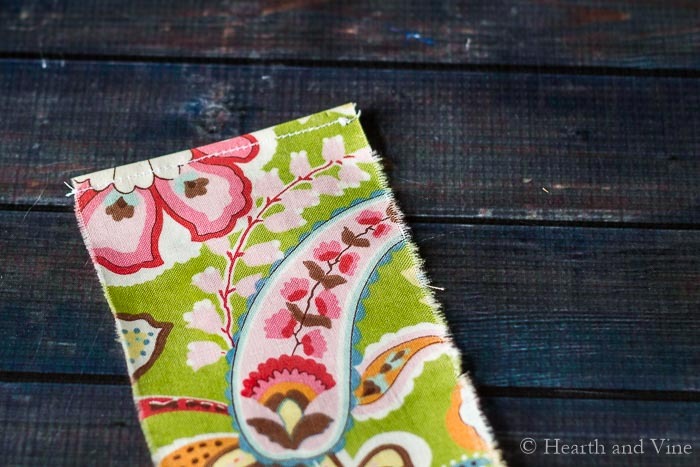 Especially since I have bins of really pretty patterned fabric I love, just waiting to be used in a new project. Start by cutting out the fabric. I cut 8.5 inches by 3 inches for my luggage tags. However, later I tried to put my business card in, and it was a little too small. So you might want to cut something like 9 inches by 3.5 inches. Next cut out a piece of the vinyl the same size as your fabric, and adhere it to the right side of the fabric following the package directions. Next turn over the top and bottom edge and topstitch in place. Then fold in half with right sides together, and stitch up the sides. Cut corners. Turn the tag right side out. The vinyl will look crinkled from turning, but you can easily iron it smooth. 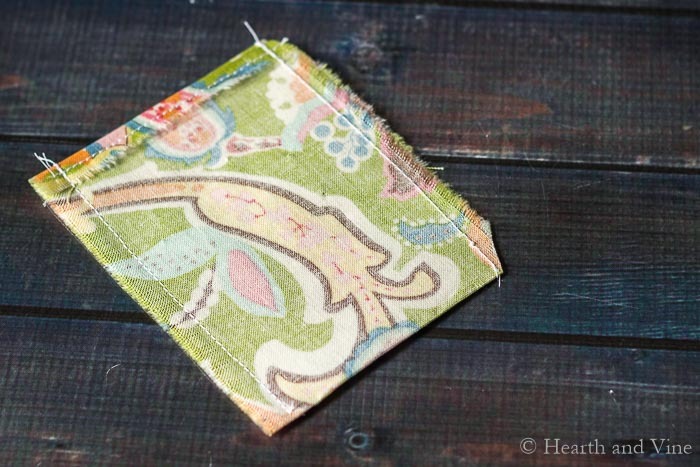 Make sure you place some of the paper backing between the luggage tag fabric and the iron. Next sew in about 1/4 inch from the egdes. 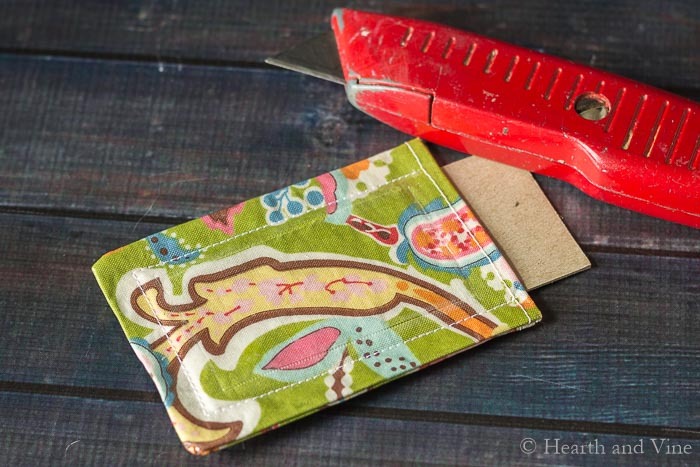 Then place a piece of cardboard or anything that will protect the bottom fabric as you score and cut out an opening with a utility knife. 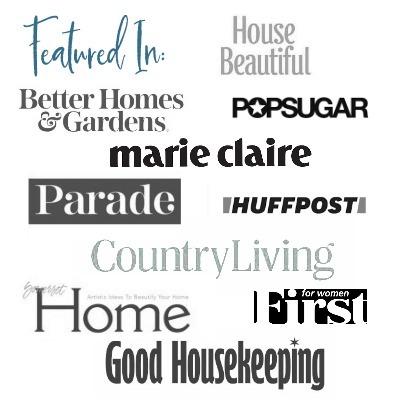 Use a little fray check, clear nail polish or white glue to tame any rough edges. I found a box of Christmas cards that were contained in this heavier weight plastic box. It was perfect for this application. Just cut a piece to slide inside the pocket over a piece of paper that you’ve typed all of your pertinent information. You could also use a business card. Using a small hole punch, create a hole to slide a metal keychain through and you are all set. 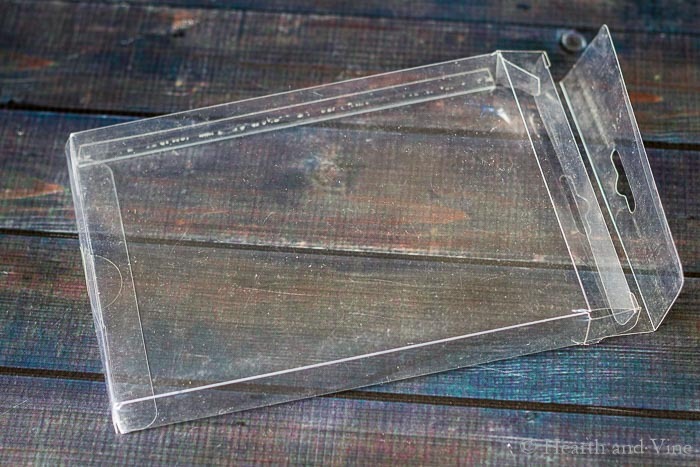 If you want to use a traditional hole punch you will need to make the top edges larger. Just increase the length of your original fabric by about 1/2 inch. I like the look of the wire keychains , and they come in different colors. You could also use plastic loops if you enlarge the hole. 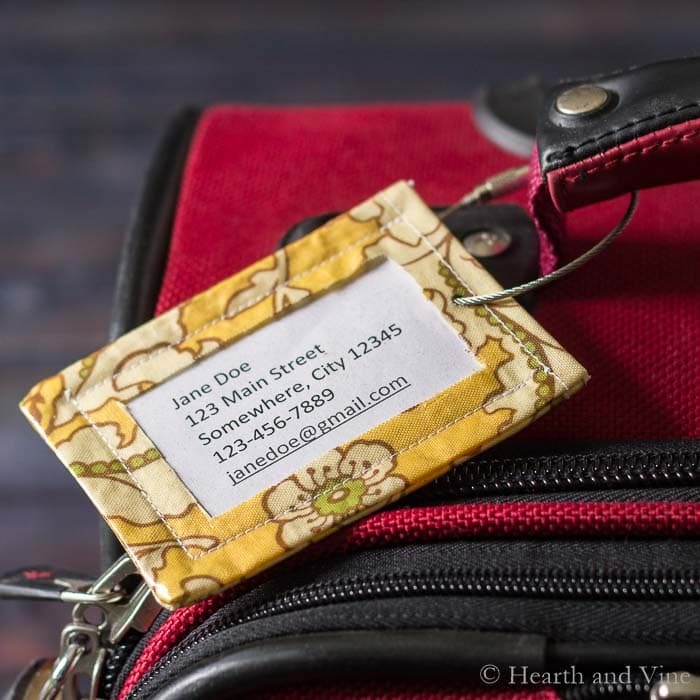 Now it will be easy to spot my bags at the airport with these diy luggage tags, and I’m glad I get another opportunity to use some of my favorite fabrics. Wouldn’t this be a nice gift to make? What a great idea and you make it look so easy. Neat how you reused that plastic box, this is a detail most overlook. A gift that needs to be passed down to the next generation. LOVE! I love the idea of passing this gift down through generations Carole. These are so pretty! I’ve been following you for awhile now and sometimes I wonder how you can come up with all these great ideas.